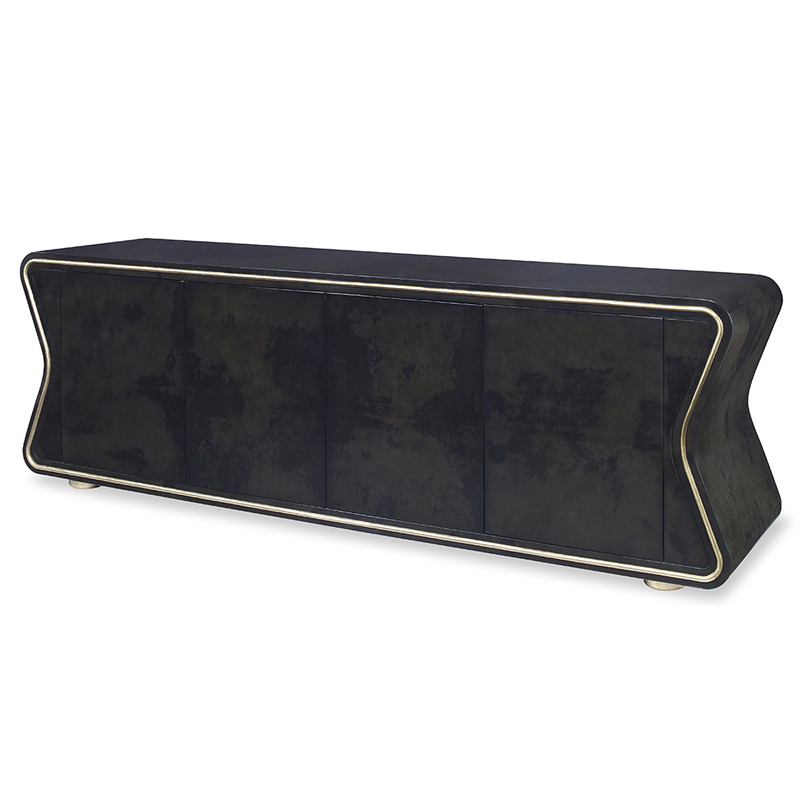 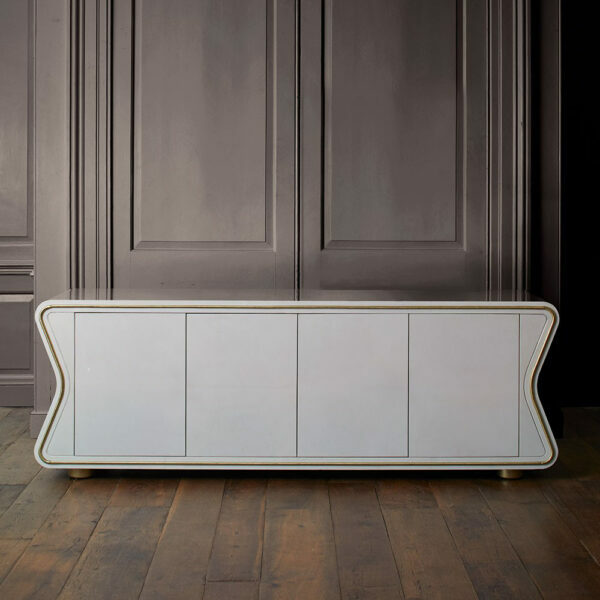 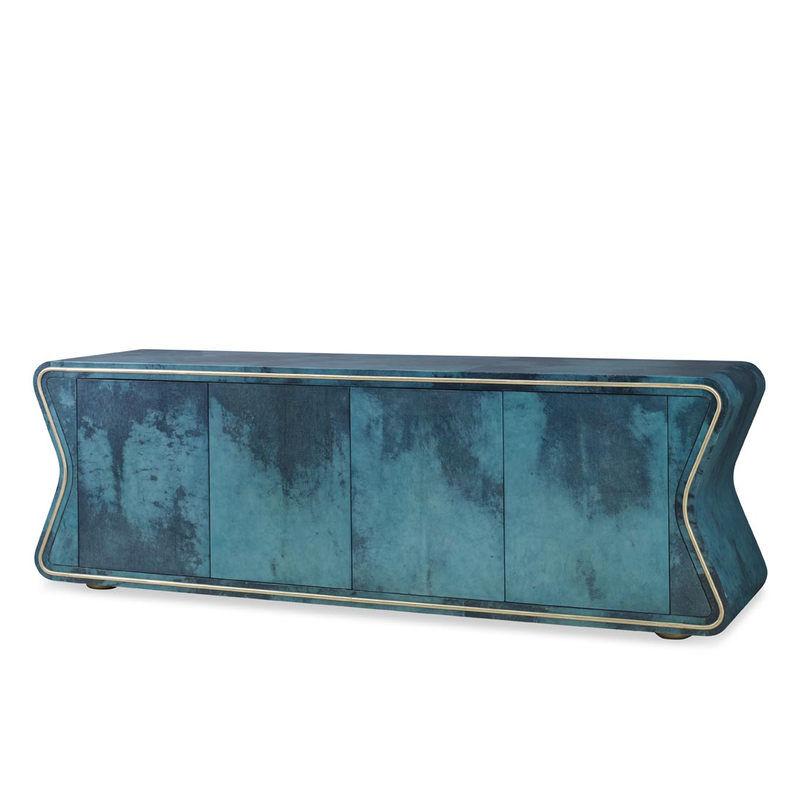 A sensual boomerang shape gives the Deneuve Cabinet its sophisticated and sculptural shape. 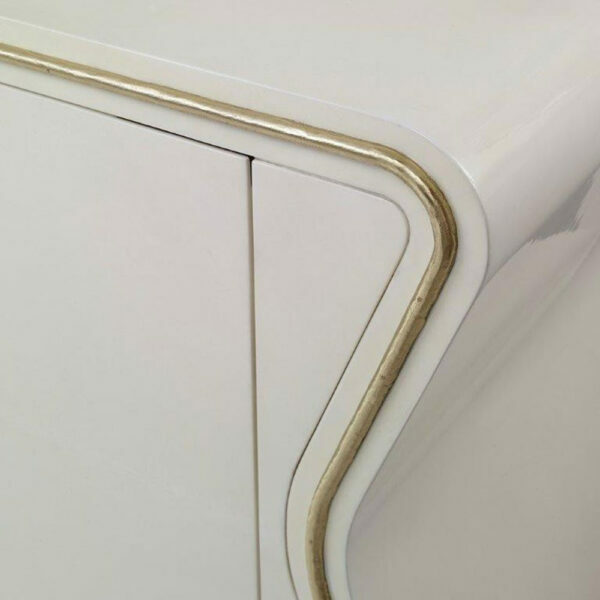 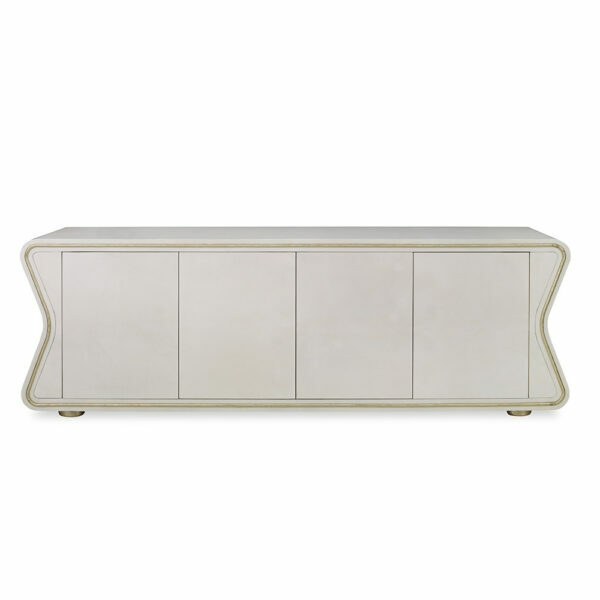 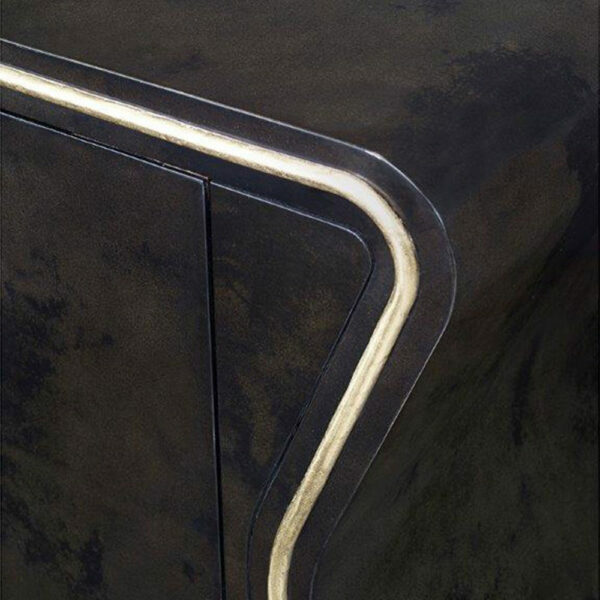 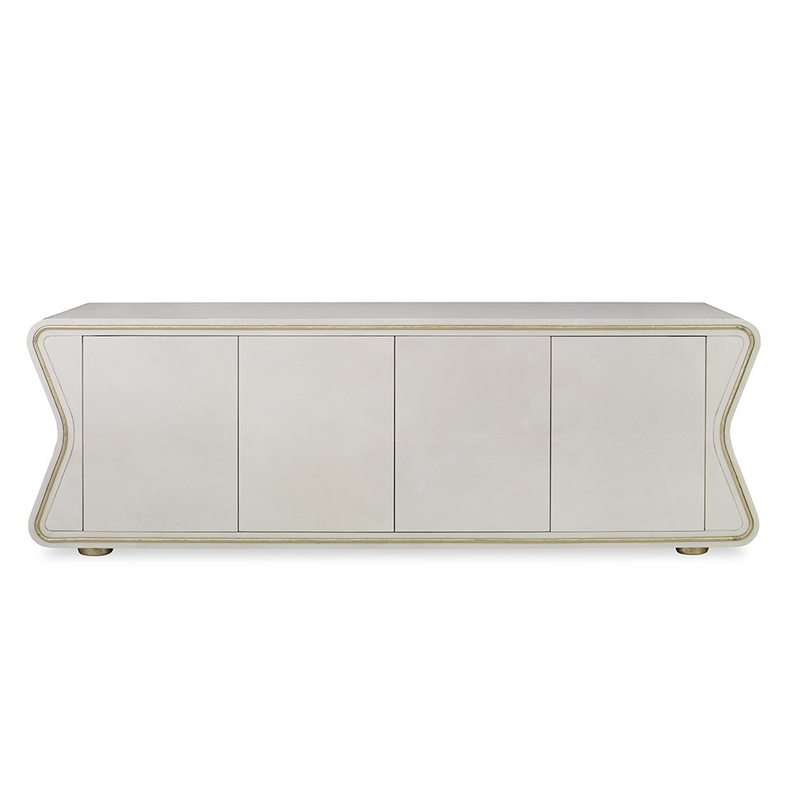 Finished in high-gloss lacquered vellum, the cabinet is outlined with a sinuous band finished in polished brass. 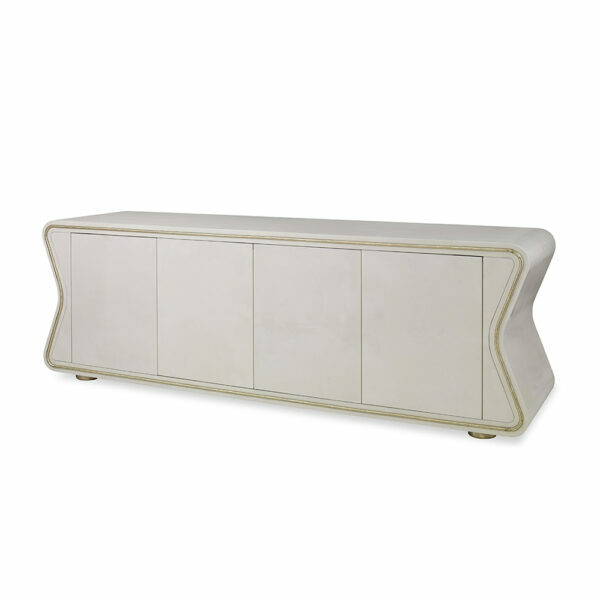 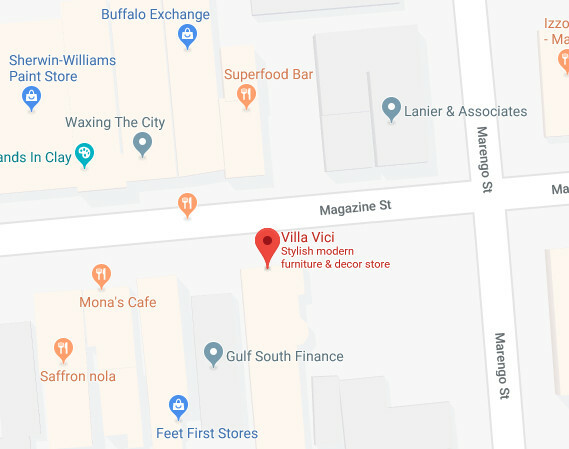 Available to order in a variety of standard and custom lacquered vellum colors.